Hitech's 67mm Orange 2 Hard Edge Camera Filter gives a bright orange effect. This filter is clear in the bottom half with a gradual transition to the color effect in the top half. primarily used for skylines or landscape shots. This hard edge grad has a more defined hard lined transition and is usually used for longer focal lengths. 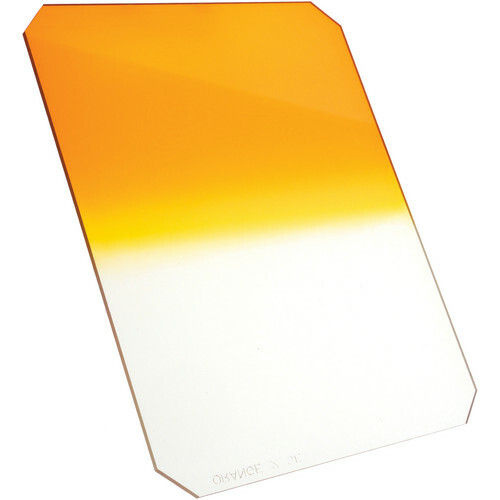 Different graduated color filters can be used in combination together or with solid color or neutral density filters to give interesting bespoke effects. This 67mm filter is usable with Hitech 67mm holder systems or any 67mm (2.67") holder.